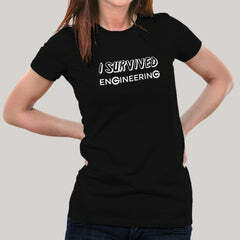 I survived Engineering Women's T-shirt. It really doesn't matter if you have completed Engineering or if you still back logs. If you have been an Engg college and you are live and breathing. You survived engineering.